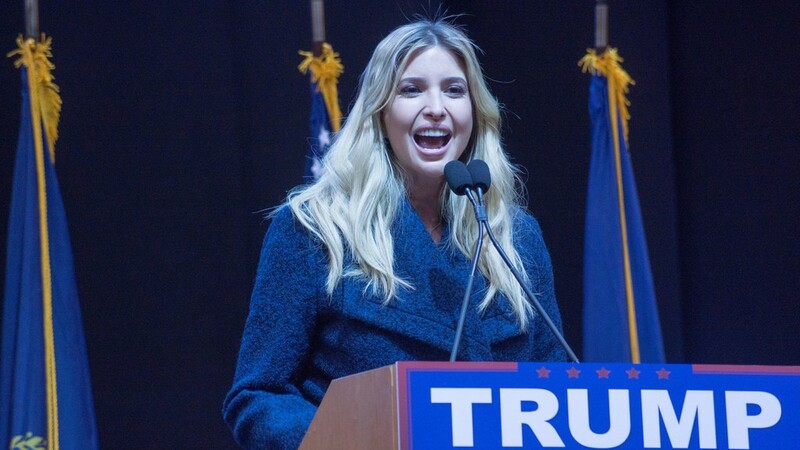 It was discovered last week that Ivanka Trump, daughter of President Donald Trump, allegedly used a private account to send emails regarding government business in 2017. If so, that’s because her father’s presidential campaign was widely about Hillary Clinton’s private email account being used for official business. Back then, it was a “huge” deal. Should we chant for Ivanka to be locked up too? Hypocrisy is an understatement for his narrative. According to The Washington Post, Ivanka Trump claims ignorance to any belief or policy about using personal email accounts for government business. It’s not uncommon. At most companies, employees receive a separate “work” email. This account is used for everything regarding your job. Your personal email is used for everything else. Using the separate email accounts you own for the reasons they were made seems like common sense. Though, apparently some things need to be spelled out — more than once. During the 2016 presidential campaign, Clinton’s personal email account was exposed. Information about the government was found within her emails, which caused a scandal to erupt. For someone so involved in the presidential election, following her father throughout the entire campaign trail, one would think Ivanka Trump would have recalled Clinton’s email “scandal” and know better than to do the same. Apparently, attention to detail and sticking to a campaign’s talking points is too much to ask of the first daughter. Some journalists who reported on Clinton’s email situation in 2016 are now saying it wasn’t that big of a deal, according to CNN. They compare it to Ivanka’s situation and say that, in hindsight, both situations are miniscule and harmless. Maybe so. But the hypocrisy is undeniable. Clinton’s email practice was one of the most discussed topics throughout the 2016 campaign. It’s arguably a central reason she lost. She was investigated by the FBI, cleared of any wrongdoing, and then the investigation was reopened. The entire country knew about this. Should Ivanka’s use of private email for government business be investigated as well? After all, there is no way that after everything that happened during the election, Ivanka didn’t know the simple practice or policies regarding use of personal email for government business. The fact that she claims ignorance now, only when caught, says something concerning about her character. Laws and rules are put in place for a reason. We can’t pick and choose whom to reprimand and whom to let slide. Ivanka Trump claiming blindness doesn’t mean this situation shouldn’t be investigated thoroughly, and if cause is found, that she shouldn’t be reprimanded accordingly. An investigation of Ivanka Trump has yet to be initiated. Although reprimanding her won’t change Clinton’s fate in the 2016 election, it will set the right example for the future. Zoe Zbar is a junior majoring in marketing.